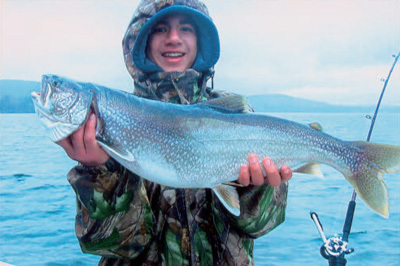 Enjoy a fishing trip on Otsego Lake, NY with C.P. 's Charter Service. We are available 7 days a week during April through September. Your New York fishing guides are fully licensed and insured. All trips are fully equipped with necessary tackle. 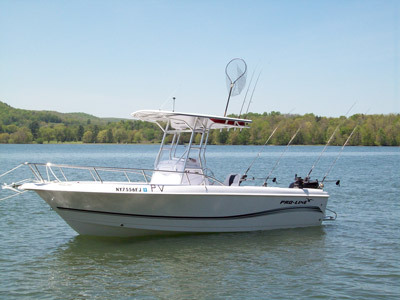 Our boat is equipped with all necessary electronics and fish finding equipment. Our boat is a registered and inspected public vessel by the N.Y. State office of Parks and Recreation, and ready to take you on an Otsego Lake Fishing trip. Member of the Otsego County Chamber and Cooperstown Chamber of Commerce.